← Spring Has Sprung . . . Finally! 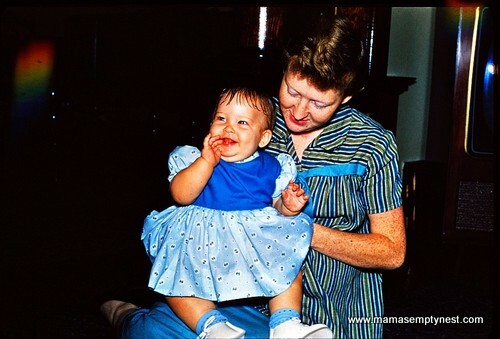 Mother’s Day is this weekend so I thought I would list a baker’s dozen of things that I remember fondly about my mother from my childhood. 1) I remember how efficiently my mother handled babies – fed them, burped them, changed them. She had lots of practice having 8 children in 9 years. I believe that I was a more confident parent of infants because of her example. 2) I remember my mother sewing our clothes including our school uniforms which were red plaid. One year, she sewed the skirt of my jumper with the plaid going diagonal rather than up and down so I spent entire year looking different from the other girls. It was a long year for a shy and introverted kid. I learned to love to sew and made my homecoming and prom dresses in high school. I have recently returned to sewing and realize how much I missed it and how much I love to put something nice together. 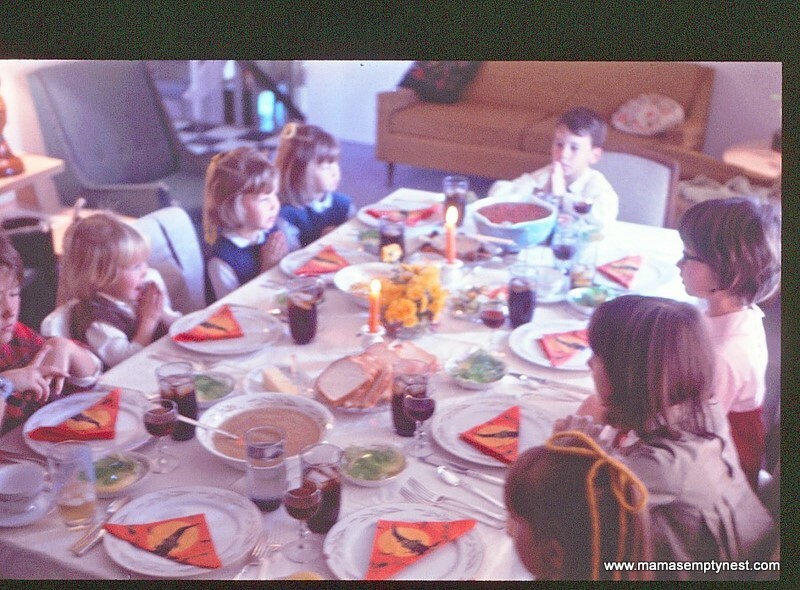 3) I remember my mother making family traditions that included using the good china and eating in the dining room for special occasions like Thanksgiving, Christmas, and First Communions. We felt special getting dressed up, and it felt fancy eating on the special dishes with the silver and crystal, too. DSH and I feel strongly about eating together as a family and learning how to properly set a table and use good manners and pray before eating. We have lots of family traditions that center around meals. 4) My mother was an expert at finding free and cheap things to do with kids. We went to the St. Louis Zoo (which is still free), we went to the Missouri Botanical Gardens, the Science Center, the free seats at The Muny. We went on picnics and to parks and traveled to visit friends and relatives. We went on only one vacation that involved a resort, but I still felt like we saw a lot of the country. DSH and I did all of these things with our kids, too. We like to call our experiences “adventures” especially if they involve getting lost or having something unexpected happen. 5) My mother drove the 8 of us kids across country twice by herself. We visited an uncle and aunt who lived in California and went to the beach and did all sorts of fun and interesting things that we could have never done living in the Midwest. We spent several days in Tucumcari, New Mexico, on one eventful trip when the big orange station wagon broke down. We have traveled with our kids, too. One year, I took our girls on a month-long cross-country trip to visit my sister in Oregon. We followed the Oregon Trail and saw many historic, natural, and curious sites along the way. My mother gave me the idea and courage to do this. 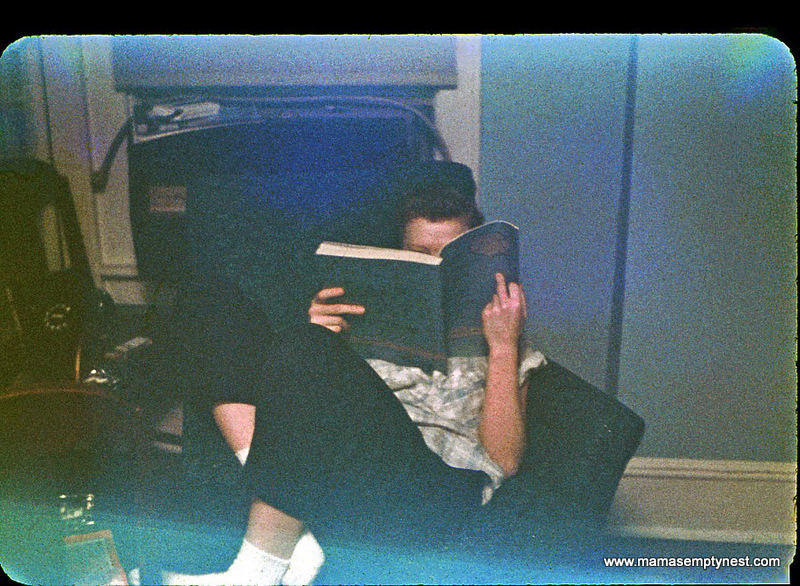 6) My mother was not a good cook, but she was a pretty good baker. She wasn’t afraid to try new things either. She once made a meringue cake for a luncheon with the ladies which was pretty much a flop, but she served it anyway. I love to cook and bake and get frustrated with my flops, but I am fearless about trying new things. 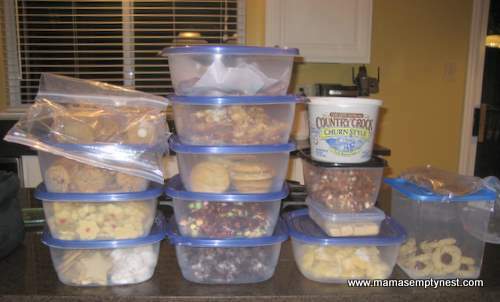 7) My mother had a tradition of making Christmas cookies every year. Several of her standby recipes, I still make because . . . well, it’s tradition. 8) A few times a year, my mother would let us stay up late and she would make either popcorn or her special recipe of fudge. And we would eat the entire thing! And sometimes we even got to drink pop (that’s what she calls soda)! I make special items for my family, too. It’s one way that I show them I love them. 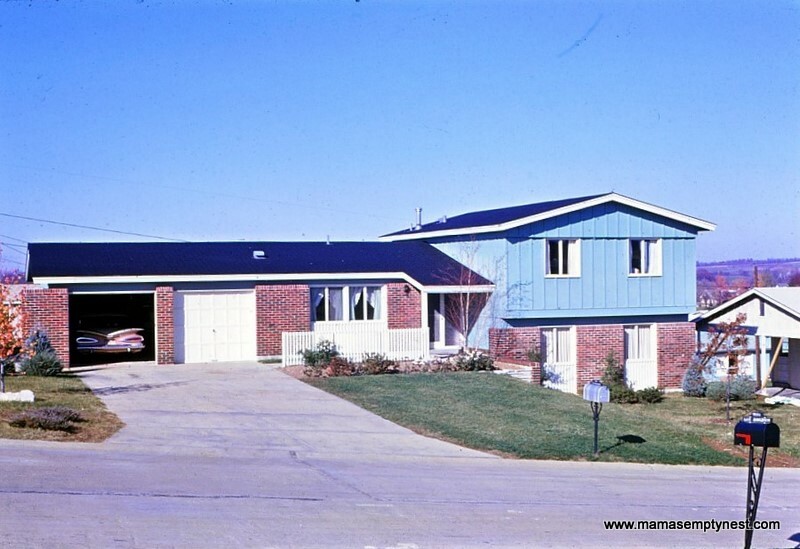 9) My mother worked hard to keep our house clean and the laundry done and meals on the table. I remember going to the A&P grocery store with her. She would buy lots of groceries to feed her large family, but I was always amazed at the number of bags filled with bread that she bought, and I loved to watch the check out ladies ring up the groceries. Back then, there were no scanners – they had to remember most of the prices by memory and enter each of them manually. My mother hated to go shopping for clothes and shoes. She would race through malls and stores and our little legs would struggle to keep up with her. I did not inherit the female shopping gene either except when it comes to food (grocery stores, specialty food stores, and farmers’ markets) and hardware stores. 10) My mother was not afraid to get her hands dirty doing what needed to be done – even if it was something a man would do (back then most jobs and chores were gender specific). She painted and moved furniture and stripped and hung wallpaper. She grew up on a farm, and she helped me with my first garden. DSH and I have worked hard to teach our girls how to be independent and self-sufficient. We are confident in their abilities to take care of things even in an emergency. 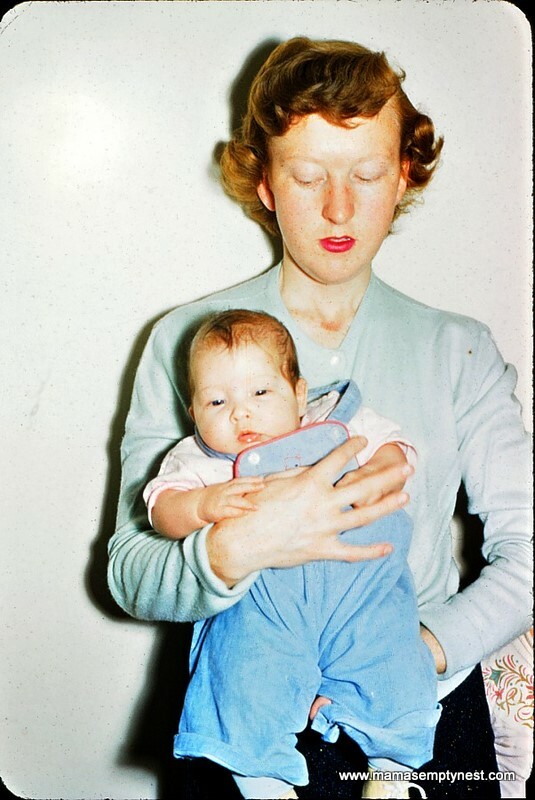 11) My mother was a red-head with loads of large freckles all over her body. I was always amazed by that because I didn’t know any other mother who had red hair and freckles. She’s always been more than a little bit brash. I think of my mother every time I look at my youngest daughter who has reddish colored hair and the exact same large-type freckles as my mother. (Our middle daughter has red hair and small freckles, too, but they are more like DSH’s side of the family). 12) My mother volunteered at our grade school. She was a room parent and one year they decided to cut down Christmas trees for every classroom in the school. I remember a bunch of parents and kids trudging through woods in cold and snow and cutting down and dragging a bunch of trees back to school. I have always been an active volunteer, but I especially loved being in my kids’ schools helping out and getting to know the students, teachers, and other staff. 13) My mother had to scrimp and save so she made our lunches rather than bought them. I used to envy the kids who got to buy lunch and get ice cream on Friday. She made our clothes. 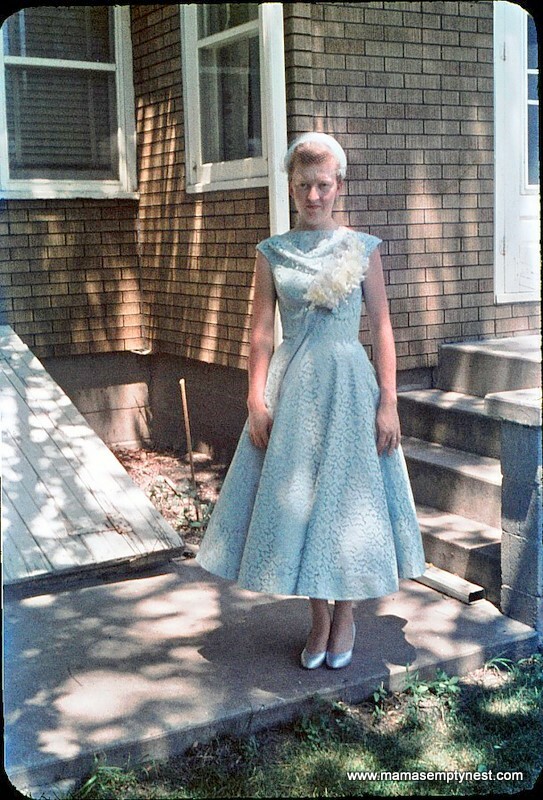 She made us do chores – we had to wash and dry dishes by hand rather than use the dishwasher. We started earning money at a young age by babysitting for neighbor kids. DSH and I both come by our frugal ways honestly. Life for me and my siblings changed dramatically when I was about 12 years old and my mother decided to get a divorce. But that is a story for another day. For this Mother’s Day, I am choosing to remember the ways my mother has influenced my life in positive ways. So cool to hear all the great things your mom did for all of you. She really worked hard to take care of all of you, and you being the oldest probably put a lot of pressure on you . Thanks for your comments! I know you remember a lot about our family back then. What a great tribute to your Mother! Have seen many of these things you learned first hand in you, Jack and the way your raised your girls. Great traits! I know a lot of your story, Theresa. It is so wonderful that you are finding the lemonade in your life instead of just remembering the lemons. That is never easy, but there is almost always some good in everything that happens if you look hard enough. Some times it is very hard to find it! God bless you and yours!! This was a hard post to write. I worked hard to find only positive things to say. Thank you for knowing and understanding. Thank you Theresa, your story reminded me of many of the wonderful things about my Mom. I’ve heard people say that every day should be Mother’s Day, but I like that there’s a special day to focus on our Moms. Happy Mothers Day to you! Thank you for your nice comments, and it makes me happy that what I had to say reminded you of your mom. Thanks for reading and commenting. My mother is still alive, but has basically disowned me and has never acknowledged my children. My parent’s divorce was very acrimonious, and neither were very good parents afterward. They basically abandoned their parenting roles. Yet we, their children, carry the good and bad from them as we grow older. I am trying to focus on the positive because the cutting off behavior has continued with my siblings and many are trying to drag our children into it, too. That is where we draw the line. We intend to break the cycle even if that means we no longer have relationships with many members of our extended family.